Home / Archive / High Noon for BBC Three? High Noon for BBC Three? The head of a campaign group seeking to keep BBC Three on TV says he expects an announcement about the channel's future on Thursday. "A lot has changed in recent months. The architect of these proposals Danny Cohen has left the BBC. The service the BBC said they wanted BBC Three to mirror – VICE – has announced plans to move from online-only to launching television channels too as it recognises the power of television. And The Voice has been lost by the BBC. This would save the corporation in the region of £30m – approximately the same figure the BBC wants to save from closing BBC3 to respend on BBC1 audiences." During the past few weeks, there has been an increasing amount of speculation as to when the BBC Trust would make its final verdict on the matter. The Trust repeatedly refused to be drawn on announcement timeframes and publicly dismissed speculation on Twitter earlier this month. 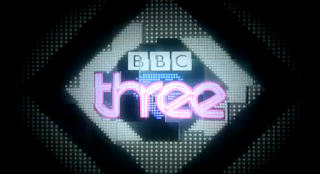 The announcement will follow two public consultations on proposals by BBC management to close BBC Three as a linear TV channel and create a new BBC Three online portal. Plans to create a BBC One timeshift service as part of the BBC's proposals were thrown out by the Trust in the summer, following objections from commercial TV companies. On Tuesday, the BBC held a public session in Sunderland on the future of the BBC where Tim Davie from BBC Worldwide said the BBC would "look to move online". Last week, it was revealed that the BBC is looking at closing the traditional Red Button service in favour of its connected services, which are accessed via smart TVs and connected TV platforms and wants to slash distribution costs. And money saved from The Voice is to be respent on BBC One entertainment. Moving content online pushes some of the cost of receiving BBC services to viewers, such as the monthly cost of a fast enough fixed or mobile broadband connection, but saves the BBC platform carriage fees and transmission costs. The BBC has said that remaining "long-form" (or regular length) BBC Three programmes would continue to be shown on BBC One or BBC Two, although it's likely these will be shown in late-night slots. BBC Three's Backchat and Russell Howard's Good News have been commissioned and moved to BBC Two, keeping them safe from whatever happens to BBC Three. In the spring, the BBC will outline how it intends to save a further £550 million a year, which analysts say will make the current proposed and planned cuts look tame. The Telegraph reported last week that BBC Director-General Tony Hall is considering drastic cuts to be announced in spring 2016, including merging BBC Four with BBC Two and closing the BBC News Channel, a channel that was recently reported to have been given a reprieve from the latest round of cuts, as part of a showdown with Culture Secretary John Whittingdale. Members of broadcasting union BECTU said they feared for the future of BBC Radio 5 Live following cuts to the broadcaster's sports budget. Earlier this week, the Government announced it was giving the BBC World Service a cash boost over the next five years to help it develop new services for audiences, especially in Africa, the Middle East and North Korea. This is a separate pot of money and can't be used for UK services. And yet after piling all these extra costs on the BBC to make savings, the Chancellor now finds himself with £27 billiom extra to play with. I can only conclude that our government is very deliberately destroying the BBC, for which they gain my undying hatred.